Colette Lewis is an artist based in Cork, Ireland. Her practice incorporates primarily film, photography and installation incorporating a collaborative research process and intervention in social contexts. Her work engages with themes of presence, embodiment and place. She received an MA in Visual Art Practices from IADT Dublin (2010), Diploma Field Ecology, University College Cork (2002) and a BA in Fine Art Sculpture from the Limerick School of Art & Design (1995). Exhibitions and film festivals include Lady Bits, Tom Barry’s (2017), Urban October, Tom Barry’s (2016), Short Irish Film Showcase, Liverpool Irish Festival (2015). 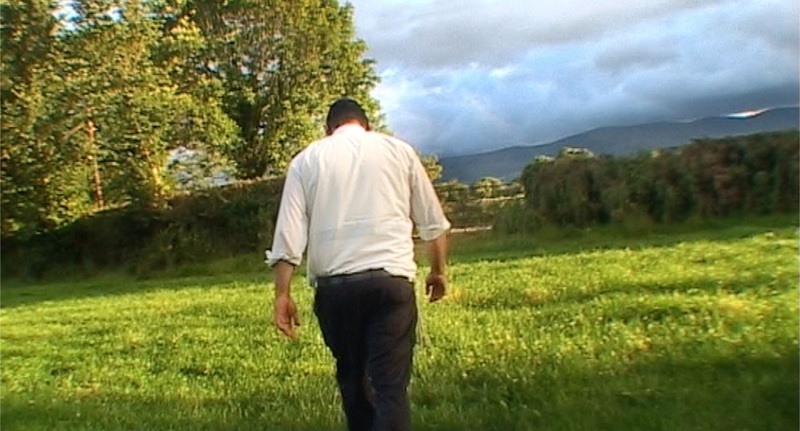 IndieCork Film Festival (2015), Milk Of Israel, (solo show) Sirius Arts Centre, Cobh, Co. Cork (2015), MEx15, Illuminations Gallery, Maynooth University, Kildare, (2015), LUX13, Laban Centre, London (2014), Public Gesture: Pirate Capital, The LAB, Dublin (2010), Beyond Myths, Sirius Arts Centre, Cobh, Co. Cork (2008), Sonic Vigil, St Fin Barr's Cathedral, Cork (2008), Give(a)way, EV+A, Limerick (2006), Within and Without, TULCA, Galway (2006), CorkCaucus, National Sculpture Factory (2005), C2, Contemporary Art in Cork Crawford Municipal Art Gallery Cork (2005), Terminal, Triskel Arts Centre, Cork (2005), Fete de la Danse, Institute for Choreography & Dance, Firkin Crane, Cork (2005), Park in Progress,Pépinières européennes pour jeunes artistes, Marley le Roi INJEP, Paris (2005), Fipa International Audio Visual Festival, Birritz, France (2005), Ideal State, Electric Rain Live Art & Multimedia Event, Cork (2004), Kerry Film Festival, Tralee, Co Kerry (2004/03), US Live, Guinness Storehouse, Dublin (2003), Ferbane Window Art, Lough Boora Parklands Sculpture Symposium, Co Offaly (2002), VAMP, West Cork Arts Centre, Skibbereen, Co Cork (2001). Awards include Artist in the Community Scheme, The Arts Council (2015, 2009, 2007, 2003), Art in Context, Cork City Council (2015) Bursary Award, Cork City Council (2017, 2014, 2010) Bursary Award, The Arts Council (2010) Architectural Research Grant, The Heritage Council (2009), Cork Artists Collective Residencies Programme, Cork 2005, Trespass Research Bursary, London International Festival of Theatre (2002), Video Art Mentoring Project, Cork Film Centre (2001), Travel Award, The Arts Council (1998). A current member on the Board of Directors in the Cork Artists Collective (since 2008) and a founding member of The Guesthouse Cork. She was a co-curator of Electric Rain, Live Art, Music and Multimedia Event, Cork 2003-2004 and on The Guesthouse programme management team between 2008-2011. In 2018 she was guest juror for the Triskel 40 Photo Prize in the Cork Photo Festival. She currently teaches Photography in St Johns Central College, Cork and has been a Visiting Lecturer on the MA in Social Practice in the Creative Environment LSAD (2016-2017), Centre for Architectural Education, University College Cork (2010) and Crawford College of Art & Design (2009).